Brand new for 2011, Alpinestars is filling a void in the multi-season commuting and long-distance touring market with the brand new Alpinestars Cape Town Jacket. AStars, ubiquitous as one of the premier racing gear manufacturers in the industry, has been charging into the technical touring market for the last couple of years, and the Alpinestars Cape Town Drystar is further proof of it. 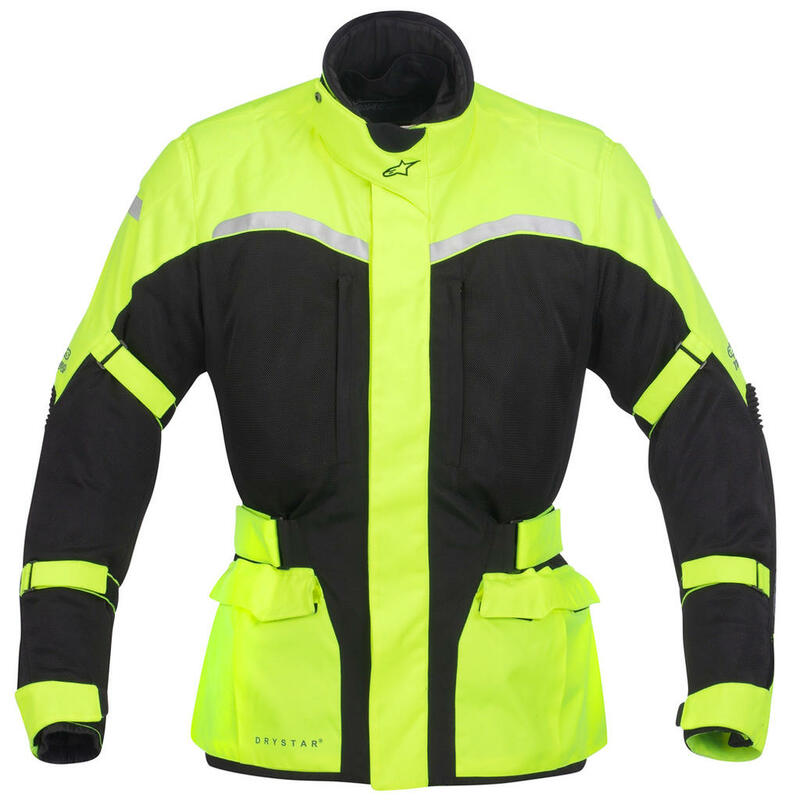 They listened to their riding community and as a result, developed one of the very few mesh-based 3/4 length jackets with a removable waterproof breathable membrane. 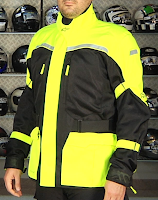 This spells a jacket that will perform in the hottest riding scenarios but is also versatile enough to get through wet and nasty conditions as well. Consider this your new three and a half season all-weather long-distance jacket. 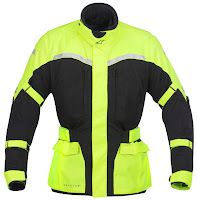 Oh, it's also available in a hi-viz colorway. Can you say homerun? The shell of the Cape Town Air uses multiple fabrics to fuse the ideal amalgamation of safety, comfort and durability. At the elbows and seat, highly abrasion-resistant ballistic nylon panels are used for protection. There is textile at the shoulders and a portion of the arms and the rest of the jacket is mesh. That is a ton of abrasion-resistant mesh paneling at the chest, sleeves and back that will flow all kinds of air in the hot weather. For impact protection, CE rated Bio Armor can be found in the shoulders and elbows, with chest and back pockets for the Bionic Chest Guards and either the Alpinestars Bio Armor Back Protector of the Alpinestars Bionic Air Back Protector Insert. Additional external 3D foam padding is found at the shoulders and elbows for added reinforcement. 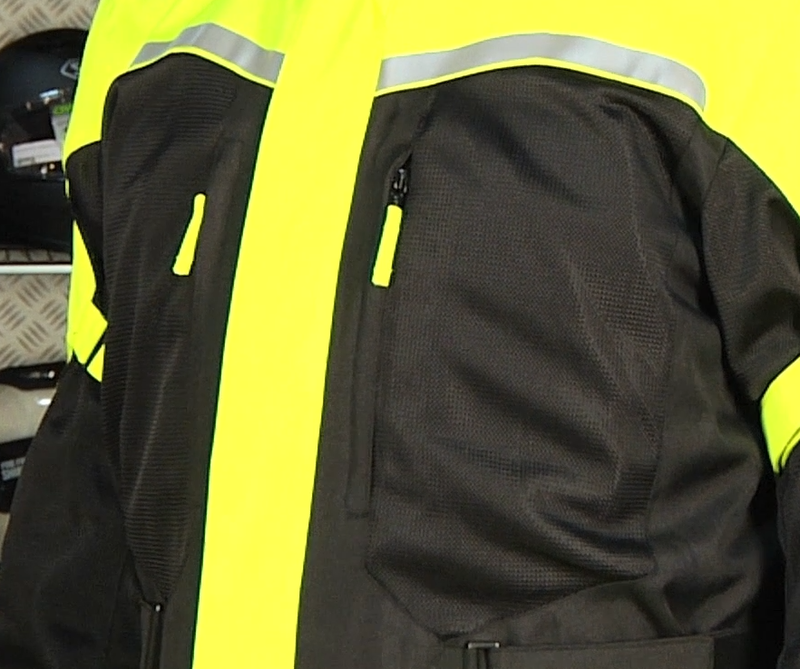 Inside the jacket, you'll find a completely removable Drystar waterproof breathable membrane. This is the key to staying dry and comfortable, and also features microfleece inserts to keep you warm when the temperatures dip. There are two large cargo pockets at the front with an even bigger rabbit pouch pocket at the back for a solid amount of storage. Adjustability can be found at the biceps, forearms, wrist, and natural waist so you can truly cinch this jacket down. The Alpinestars Cape Town Jacket also uses premium YKK zippers and microvelcro throughout, in addition to a 360º zip for textile pants attachment and a pre-curved articulated sleeve construction. This jacket, unique by nature and crammed with features, is a winner all day long.